Straight out of the drip cone. 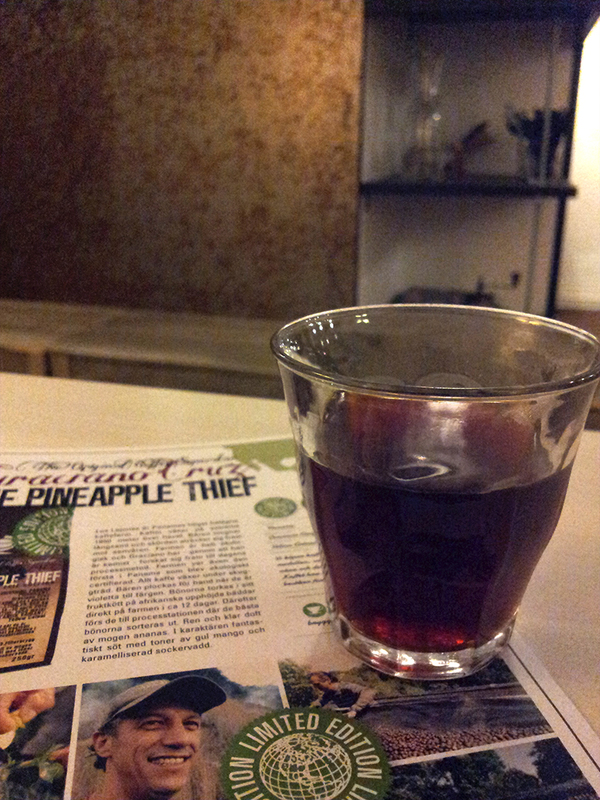 I am trying to figure out a chocolate suitable for this coffee from Graciano Cruz, “the Pineapple thief”. At Viktors kaffe, Gbg. “After this the coffee berries are Transported to the processing station where the best beans are selected. All of this Amounts to an unmistakably clean scent of ripe pineapple and a sweet character with notes of yellow mango and caramelized cotton candy in the cup”.